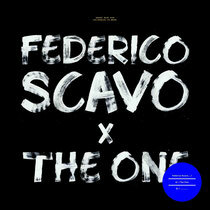 Federico Scavo’s ‘The One’ is the latest and release from Steve Angello’s X imprint. The Florence, Italy-based producer is on fire right now and this offering connects bleepy tech house with sinister sweeping synths. Federico Scavo, is possibly one of the fastest rising Italian dance music stars. He spends his life working in the studio and devoting himself to his passion of DJing. His talent has attracted the attention of artists such as Kaskade and Pete Tong, who regularly choose his tracks for their sets. As his own record label Area94 continues to boost his popularity on the international scene, his productions are in demand from high profile labels such as Hotfingers, Pacha recordings and Toolroom. It’s out January 31, check it out below.